made for double the fun last night in the company of Amelia Curran and Dennis Ellsworth. Indeed when you add in an opening set from Ash Gray it all came to an exceptional evening of live music at The Greystones. Thanks to them and those of you who were there to enjoy it with us. WagonWheel Presents… returns to The Backroom on Thursday March 26th with another Transatlantic double bill. 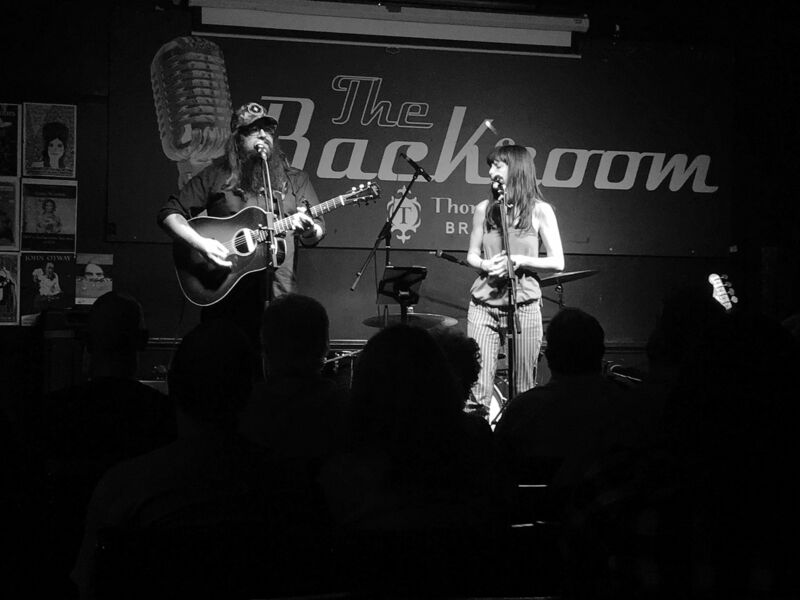 We welcome Josh Harty and the Kelley McRae duo back to Sheffield. M&J Blues open the show. Ticket details can be found here. Our next show however is at Shakespeares. As usual for the last Saturday of the month, we’ll be in the Bard’s Bar on February 28th with Big Convoy, Bob Collum & The Welfare Mothers and Micky Denny. You can read a full preview for this show here. Maybe you’ll be there too?